In the multibillion-dollar entertainment industry, accountants have found a glitzy niche providing financial services to Hollywood studios, production companies and a whole universe of artists and technicians -- from box-office superstars and music-industry moguls to truck drivers and B-movie bit players. With some connections and knowledge of the entertainment industry, a bachelor's degree in accounting and a knack for handling the larger-than-life characters who populate the entertainment world, you may land a job that adds a dash of glamour to the traditional tasks of taxes, auditing and financial analysis. Some entertainment accountants and boutique firms pitch themselves as business managers. They handle every aspect of their clients' financial lives, from paying bills and alimony, to advising on contracts and overseeing the auction of an art collection. Handling clients who are stars or who -- as is more often the case -- are still waiting for their big break requires consummate people skills, says Evan Bell, a New York City CPA. "There's a lot of dealing with egos," says Bell, whose clients have included Steven Soderberg, Bill O'Reilly and Ivana Trump. "We become the advisor, the confidant and the daddy to our clients." As financial advisor to film and media folks with a penchant for shopping, Bell often finds himself playing bad cop. "I'm the one who has to say, ‘No, you can't buy that car right now,'" he says. "I'm often the voice of doom." Discretion is at the heart of Bell's entertainment practice. "When we're paying our clients' bills, we know everything that's going on," he says. "We know if they're on drugs or cheating on their wives." Because confidentiality and integrity are key to his client relationships, Bell gets most new business by word of mouth. For comprehensive service ranging from bookkeeping and financial planning to contract analysis, Bell and other business managers charge most entertainers 5 percent of their annual income. For the few superstars who earn many millions, business managers typically charge 3 percent or 4 percent. For average workers in the entertainment industry, though, personal finance is more about paying taxes and the mortgage than it is about raking in royalties and buying Maseratis. "I do bookkeeping and taxes for grips, producers, actors and others," says Barry Kritz, an accountant in Calabasas, California. Kritz says the chief challenge in preparing tax returns for these clients is being aggressive about deductions while still complying with tax laws. "Most clients don't have agents -- they're hustling themselves," he says. "And that means they're deducting meals, meetings, travel, training and research." With these expenditures, it's often a challenge to draw a defensible line between the personal and the professional. Some entertainment accountants prefer providing these basic services to being a business manager at the beck and call of fickle Hollywood types. "We do personal management -- bills and banking," says Bruce Miller, an accountant in Sherman Oaks, California. "We're not the ones who make sure the dogs make it to the kennel." Miller charges by the hour, rather than taking a percentage of his clients' income. Many entertainment accountants work for studios and production companies rather than individuals. Some are on staff; others work for boutique accounting firms that cater to the entertainment industry. These jobs are much sought after. "It's extremely difficult to get in, because people think it's glamorous," says Penny Haberman, senior account executive with recruiter Accounting Advantage in Los Angeles. 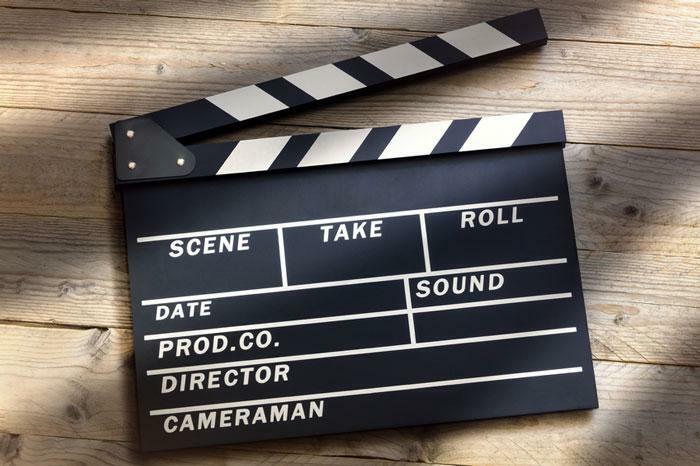 Accountants working for film production companies, recording studios and the like perform a variety of functions, including distributing royalties, calculating production costs and budgeting for concert tours. For the long hours entertainment accountants typically work, perks can include invitations to parties and awards ceremonies and occasional access to some of the best catering tents in the world. Where do starry-eyed CPAs find these jobs? The highest concentration of entertainment accounting positions are in Southern California, chiefly in Burbank, Century City, Santa Monica and West Los Angeles, Haberman says. If you're an accountant with a sterling academic record, you may be able to land a job in the industry with just two or three years of work experience elsewhere. But to get a gig as a personal financial advisor to individual entertainers, you need to know an insider who will vouch for your skills and reputation.